Fair Trade is a Trading Partnership based on dialogue, transparency and respect that seeks greater equity in international trade.It contributes to sustainable development by offering better trading conditions to, and securing the rights of marginalized producers and workers, particularly those in the Global South. Fair trade is a global movement involving approximately 3000 grassroots and umbrella organizations in more than 50 countries across the global south. Thousands of Fair Trade Shops and super markets across the glove sell these products.The movements has also trickled into political dialogue occurring on the national and international level. Fair Trade buyers, recognizing the financial disadvantages producers and suppliers face, ensure orders are paid on receipt of documents and according to the attached guidelines. A pre payment of at least 50% is made if requested. The organization adheres to the UN Convention on the Rights of the Child, and national / local law on the employment of children. The organization ensures that there is no forced labour in its workforce and / or members or homeworkers. 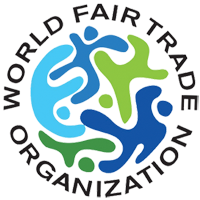 Organizations who buy Fair Trade products from producer groups either directly or through intermediaries ensure that no forced labour is used in production and the producer complies with the UN Convention on the Rights of the Child, and national / local law on the employment of children. Any involvement of children in the production of Fair Trade products (including learning a traditional art or craft) is always disclosed and monitored and does not adversely affect the children's well-being, security, educational requirements and need for play. Organizations working directly with producers ensure that women are always paid for their contribution to the production process, and when women do the same work as men they are paid at the same rates as men. Organizations also seek to ensure that in production situations where women's work is valued less highly than men's work, women's work is revalued to equalize pay rates and women are allowed to undertake work according to their capacities.